It’s long been known that, when it comes to romantic comedy, France has some of the best films cinema has to offer. From quirky sun-soaked romances to crowd-pleasing Academy Award-winning hits, filmmakers across the pond have for decades known how to speak the language of love like no others. 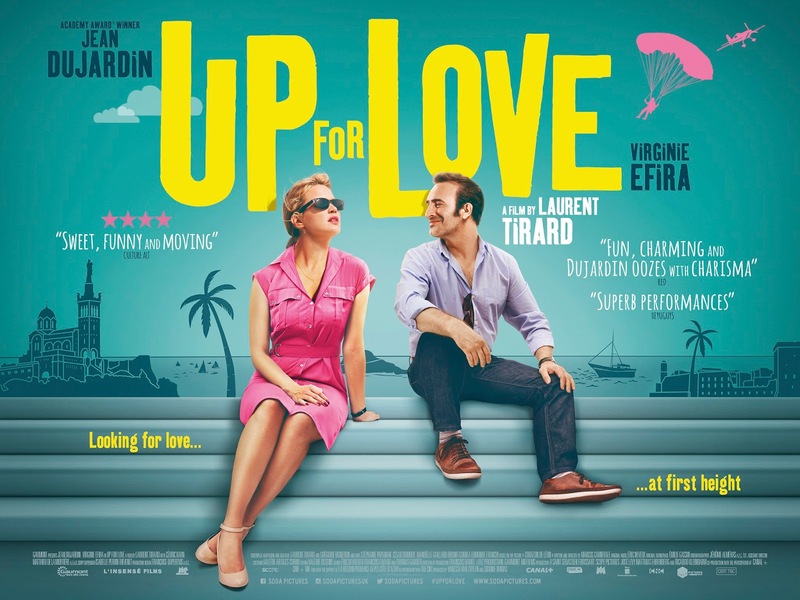 The latest rom-com to come out of France is Up For Love, which stars Jean Dujardin and Virginie Efira and hits UK cinemas Friday August 5. 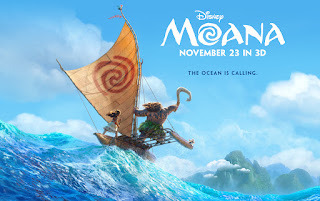 As humorous as it is unconventional, the film combines excellent performances with a story whose moral messages have universal appeal. To celebrate the film’s release, we’ve lovingly gone back through the recent decades to list ten of the very best romantic comedies France has to offer. Diane (Virginie Efira) is brilliant, beautiful, witty... and a formidable lawyer. She’s just put an end to a toxic, unhappy marriage and is finally considering the idea of meeting someone new. A series of fateful events lead Diane to receive a phone call from the mysterious Alexandre (Oscar-winner Jean Dujardin), who has found her lost mobile phone. Courteous, funny, and effortlessly charming, he soon wins Diane over... and before she knows it, she’s agreed to a date. But their first meeting is not quite what either of them expected... This charming, quirky and feel-good comedy puts a spin on the classic love story elements, with standout performances from Dujardin and Efira. Anne Fontaine’s adaptation of Posy Simmonds’ 1999 graphic novel puts a twist on Gustave Flaubert’s classic literary masterpiece, Madame Bovary. When Gemma Bovary (Gemma Arterton) moves to the picturesque Normandy with her new husband Charles (Jason Flemyng), she gets more than she bargained for when it comes to her intrusive neighbours. Martin (Fabrice Luchini), an ex-Parisian with a deep love for Flaubert, engages with the young couple, observing Gemma’s behaviour and telling her that she’s headed for a tragic finale like the character in the novel. Gemma Bovery is a watchable, funny comedy with heartwarming performances by Arterton and Luchini. Cédric Klapisch’s L'Auberge Espagnole trilogy that introduced us to a cast of twentysomethings doing a studentship in Brussels, comes to a close with the 2014 film Chinese Puzzle. Picking up from the last instalment Russian Dolls (2005), Xavier (Romain Duris) is now divorced from Wendy (Kelly Reilly). But when she takes their children to move to New York, he decides to follow her, convincing himself that it’s the right thing to do to be close to his kids. But in a twist, Xavier’s ex-girlfriend Martine (Audrey Tautou) shows up in New York, leading to them rekindling their romance. Klapisch neatly rounds off his trilogy with a freewheeling, witty dramedy. The directorial debut from Régis Roinsard, this screwball period rom-com, set in late 1950a France, sees Déborah François playing Rose, a secretary at an insurance agency who is terrible at her job but an incredibly fast typewriter. 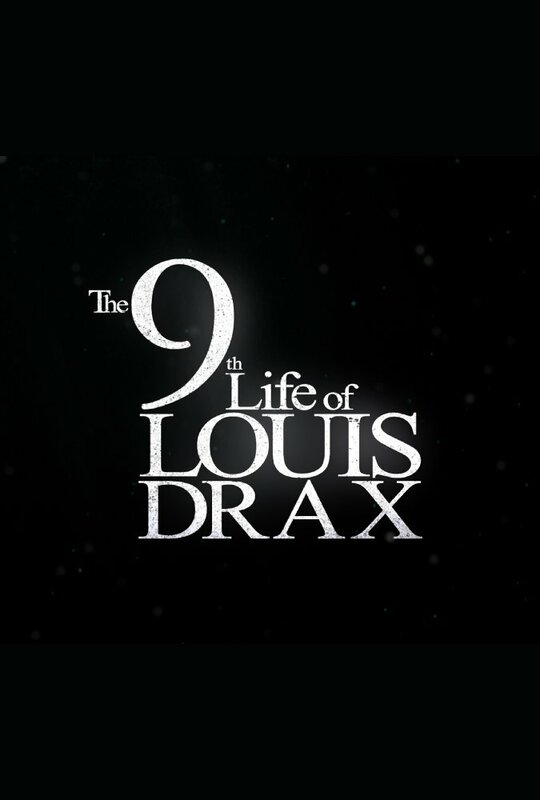 When her talents are noticed by her handsome boss, Louis (Romain Duris), he takes it upon himself to train and transform her into the fastest typist in the world. He makes a bet with his friend that Rose can win the regional championship, but will their budding feelings for one another scupper her chance at success? Michel Hazanavicius’ modern hit sits firmly in the category for being one of the best films of all time. The Artist scooped up all the major awards, and won five Oscars including best film, director and actor for Jean Dujardin, the first French star to do so. The story takes place in 1920’s Hollywood, focusing on the relationship of an older silent film star George Valentin (Jean Dujardin) and rising young actress Peppy Miller (Bérénice Bejo). As the era of silent cinema takes its bow, Valentin fears of being replaced by the ‘talkies’. The film’s beautiful cinematography coupled with the shining performances by Dujardin and Bejo make it an instant stand-out classic. Romain Duris plays Alex Lippi, the lynchpin of a business hired to drive a wedge between unsuitable couples, deploying his seductive charm to help women see the flaws in their relationships. His next assignment is Juliette (Vanessa Paradis), a strong-minded businesswoman who’s about to marry a charming, wealthy English philanthropist (Andrew Lincoln). Heartbreaker is smart, well-acted (with a stand-out performance from Paradis) film that thinks fast on its feet until the end. From Jean-Pierre Améris, this gentle romantic comedy weaves together love and chocolate into a charming, feel-good confection. Benoît Poelvoorde plays Jean-René Van Den Hugde, the boss of a small chocolate factory who falls in love with Angélique (Isabelle Carré), the talented chocolate maker he’s recently hired. All would be straightforward if it weren’t for the fact that both individuals are extremely shy, making for a delightful will-they won’t-they story that puts a sweet spin on an age-old story. A staple of French cinema, Audrey Tautou stars in Pierre Salvadori’s playful film about Émilie (played by Tautou), the co-owner of a hair salon who receives an anonymous love letter from her handyman Jean (Sami Bouajila) who, unbeknownst to her, is actually a highly educated man. Thinking it will rouse her from a deep depression, Émilie forwards this letter to her mother (Nathalie Baye), and she is immediately smitten, though complications arrive when her daughter becomes the middleman in the pair’s burgeoning romance. The BAFTA-award winning Amelie was an instant hit, and became one of the most well known French films of this decade. It stars Audrey Tautou as Amélie Poulain, a shy waitress struggling with isolation, who finds bliss by devoting her life to the people around her. She resorts her own life to her own fantastical world and dreams of love and beauty. But in doing so, Amélie begins to leave behind her own life and her own quest for love. This French classic is a feel-good charmer that showcases Tautou as a delightful heroine, and introduced her to a wider international audience. My Best Friend is out on DVD on the 1st of August, and to celebrate we have a great competition for you and 3 copies on DVD to give away! Arriving at her Grandma's ranch, Kristen has to adjust to a new life in the country, to new friends and to a totally different style of fashion. With the help of her new BFF, a talking horse named Stanford, she's finally fitting in and the two become inseparable. But sometimes, even best friends can become jealous of other friends! “Fantastic Beasts and Where to Find Them” opens in 1926 as Newt Scamander has just completed a global excursion to find and document an extraordinary array of magical creatures. 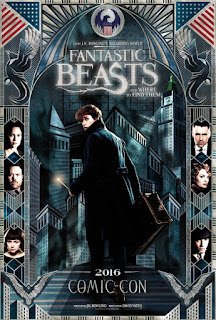 Arriving in New York for a brief stopover, he might have come and gone without incidentwere it not for a No-Maj (American for Muggle) named Jacob, a misplaced magical case, and the escape of some of Newt’s fantastic beasts, which could spell trouble for both the wizarding and No-Maj worlds. 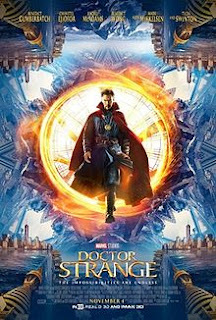 Marvel's "Doctor Strange," in theaters November 4, 2016. Experienced, Norwegian geologist Kristian Eikfjord (Kristoffer Joner) has accepted a job offer out of town. He is getting ready to move from the city of Geiranger with his family (Ane Dahl Torp, Jonas Hoff Oftebro), when he and his colleagues measure small geological changes under ground. 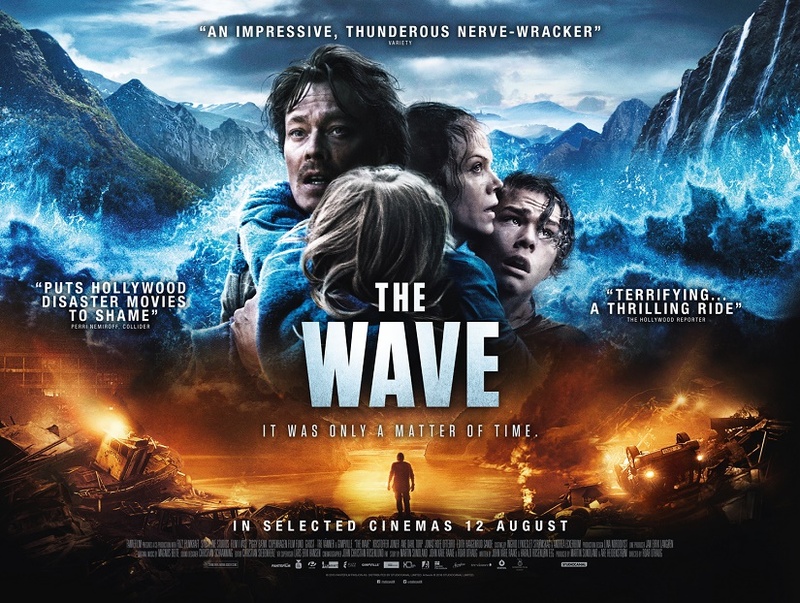 Kristian realises his worst nightmare is about to come true: the alarm goes off and disaster is upon them. With less than 10 minutes to react, it becomes a race against time in order to save as many lives as possible including his own family. 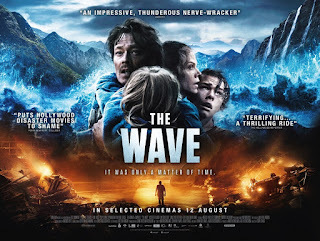 THE WAVE will arrive in cinemas on 12 August. The European premiere in London will also be celebrated with live video links to Suicide Squad premieres in other major cities across the world. Each international premiere event will enjoy live two way dialogue with the Suicide Squad cast in London. 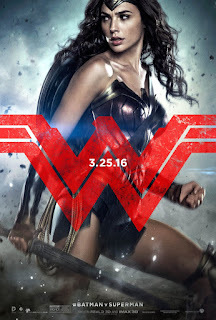 From director David Ayer ("Fury," "End of Watch") comes "Suicide Squad," starring Oscar nominee Will Smith ("Ali," "The Pursuit of Happyness"), Oscar winner Jared Leto ("Dallas Buyers Club"), Margot Robbie ("The Wolf of Wall Street," "Focus"), Joel Kinnaman (Netflix's "House of Cards") and Oscar nominee Viola Davis ("The Help," "Doubt"). 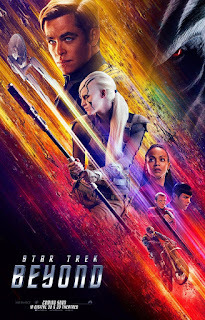 Written and directed by Ayer based on the characters from DC Comics, the film also stars Jai Courtney ("Insurgent"), Jay Hernandez ("Takers"), Adewale Akinnuoye-Agbaje ("Thor: The Dark World"), Ike Barinholtz ("Neighbors"), Scott Eastwood ("Fury"), Cara Delevingne ("Paper Towns"), Adam Beach ("Cowboys & Aliens"), and Karen Fukuhara in her feature film debut. 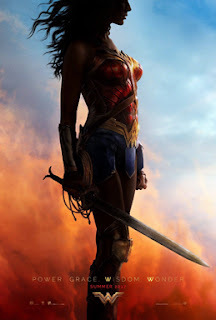 It is produced by Charles Roven and Richard Suckle, with Zack Snyder, Deborah Snyder, Colin Wilson and Geoff Johns serving as executive producers. Hong Kong detective Bennie Chan (Jackie Chan) has been tracking notorious crime boss Victor Wong for over a decade. 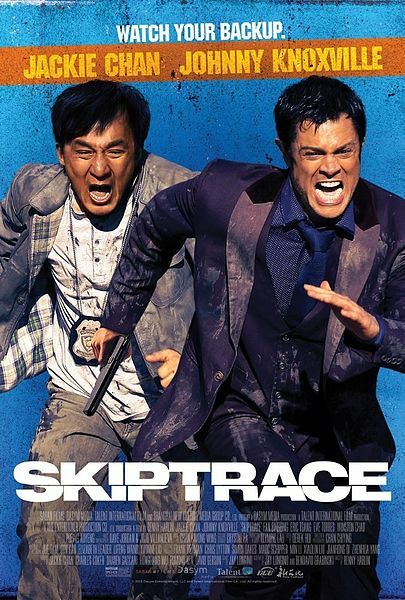 When Bennie's young niece Samantha/bái shū (Fan Bingbing) gets into trouble with Wong's crime syndicate, Bennie must track down the only man who can help him: fast-talking American gambler Connor Watts (Johnny Knoxville). Bennie races against the clock to bring Connor back to Hong Kong and the unlikely pair embark on an entertaining and perilous adventure from the snowy mountains of Mongolia to the windswept dunes of the Gobi desert. 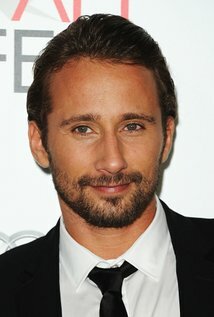 Belgian actor Matthias Schoenaerts first wowed critics in bruising crime drama Bullhead (2011), a role that jump-started his career. 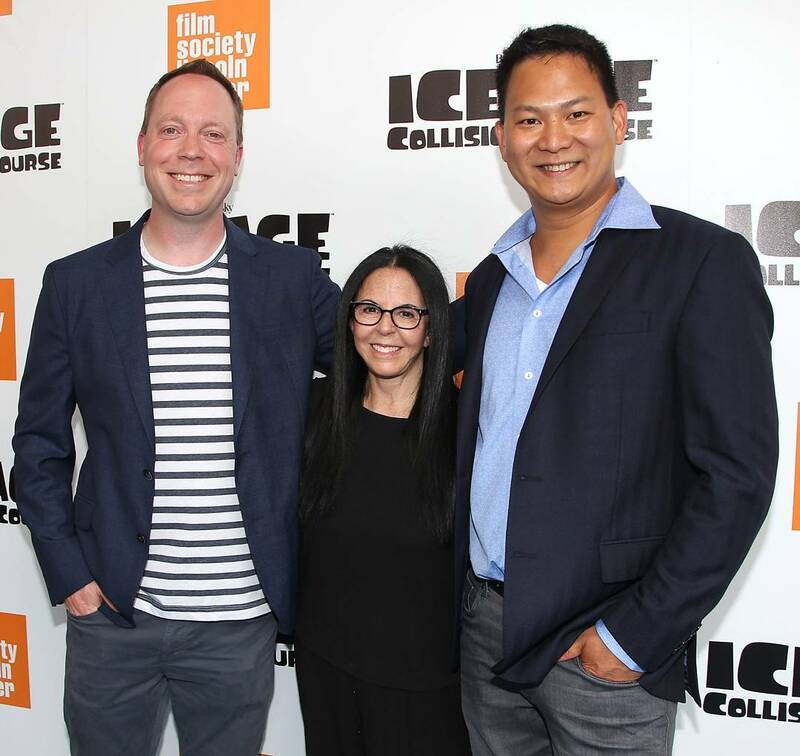 Filmmakers from across the world quickly came knocking, so enamoured were they with the actor’s ability to find the vulnerability in even the most violent characters. From Jacques Audiard’s gripping drama Rust and Bone (2012) – in which he starred alongside Oscar-winner Marion Cotillard, to Thomas Vinterberg’s remake of Far From the Madding Crowd (2015), Schoenarts has proved that he is nothing if not adaptable. 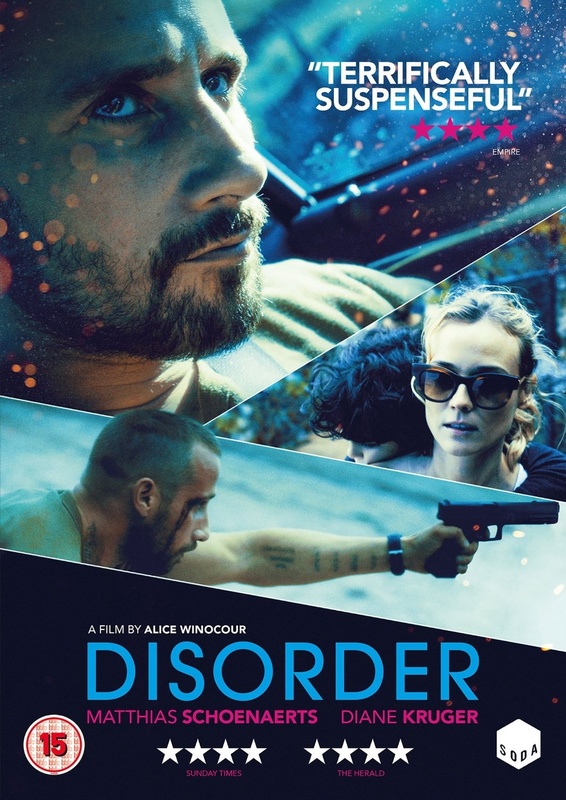 His latest film is Disorder, the sophomore feature from writer-director Alice Winocour, in which he plays an ex-solider who takes a job in personal security. Suffering from the damaging effects of PTSD brought about from his time on the battle lines, he finds that his new job offers little respite from his increasing paranoia. Slick and tightly composed, Disorder is a tension-fuelled thriller featuring Schoenaerts at the top of his game. Ahead of the film’s DVD and Blu-ray release on 25 July, we’ve compiled the Belgian’s hunk’s finest roles to date. Schoenaerts plays Vincent, an ex-Special Services soldier who takes a job in security after returning home. When his wealthy employer leaves, Vincent is left to protect his wife Jessie (Diane Kruger) and their child. 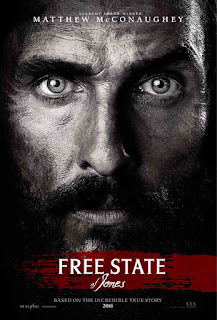 Schoenaerts gives a chilling performance as Vincent, who suffers from the ramifications of PTSD. This slick thriller deals with Vincent’s paranoia and his uncertainty that Jessie is in danger. Schoenaerts plays the fictional role of Hans Axgil in the Oscar-winning film The Danish Girl, the latest from Tom Hooper. Hans is an art dealer and childhood friend of Lili Elbe (Eddie Redmayne), who undergoes groundbreaking transgender surgery. As Lili’s wife Gerda Wegener (Alicia Vikander) confides in Hans, they grow closer and he becomes her friend and confident, causing a rift in her marriage as Lili makes her own choices. Schoenaerts only plays a small role in the film, which rounded off a pretty solid year for his career. 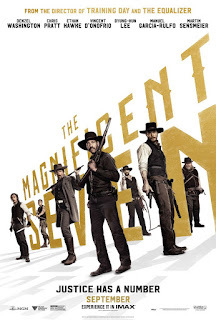 Starring alongside the likes of Ralph Fiennes, Tilda Swinton and Dakota Johnson, Schoenaerts plays a filmmaker whose Italian vacation with girlfriend Marianne Lane (Swinton), a famous rock star, is scuppered with the arrival of an old friend and his estranged daughter, played by Fiennes and Johnson. Directed by I Am Love (2009) filmmaker Luca Guadagnino, this is a balmy, feisty drama about jealousy, passion and fraught desires. Playing one of the suitors in this new adaptation of Tom Hardy’s classic literary love story, Schoenaerts steps into the shoes of English actor Alan Bates to play Gabriel Oak, a sheep farmer who vies for the attention of Bathsheba Everdene (played by Carey Mulligan). At the same time, he’s forced to fend off her other suitors Frank Troy (Tom Sturridge) and William Boldwood (Michael Sheen). Schoenaerts, who was handpicked by co-star Mulligan after she saw his performance in Rust and Bone, is captivating in this richly appealing adaptation of a classic novel. Directed, written by and starring the late Alan Rickman, A Little Chaos is a romantic drama following landscape designer Sabine (Kate Winslet) who is commissioned to build a garden at the Palace of Versailles for King Louis XIV (Rickman). The story follows her struggles with class barriers as she becomes entangled with the court’s renowned landscape artist André Le Nôtre, played by Schoenaerts. Set in a war-torn France in 1940, Suite Française follows the story of Lucile Angellier (Michelle Williams) as she awaits news of her husband, a soldier who’s been taken as a prisoner of war. When German troops start to take up residence in the villagers’ homes, Lucile tries to ignore Bruno von Falk (Schoenaerts), the handsome German officer staying with her, but a powerful love begins to draw them together and into the tragedy of war. Schoenaerts gives an enchanting performance as the soldier who’s torn between his love for Lucile and his duty as a soldier. 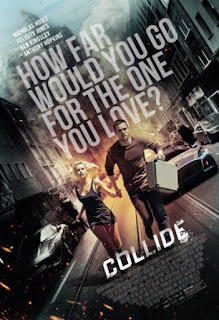 His second collaboration with writer-director Michaël R. Roskam, this English-language crime drama sees Schoenaerts playing the small but important role of Eric Deeds, a man who sets off a series of events that lands a bartender (played by Tom Hardy) at the centre of a robbery that goes violently awry. 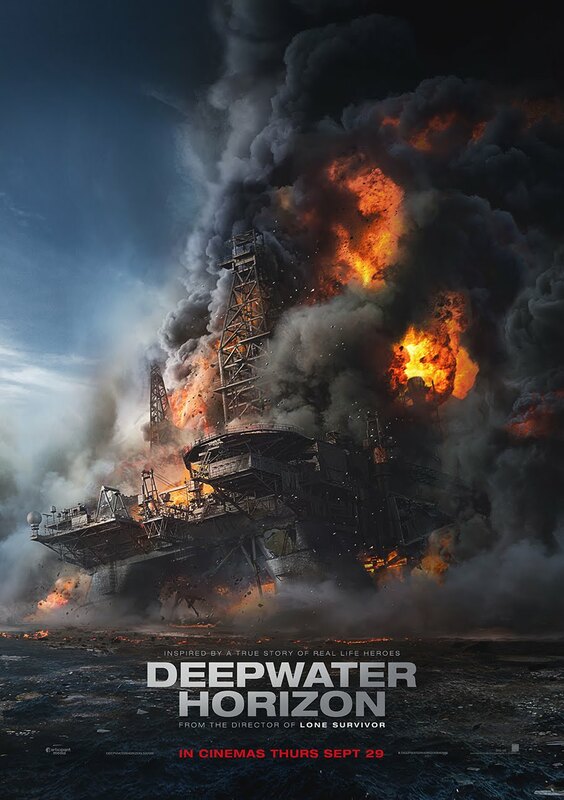 The film also stars Noomi Rapace, John Ortiz and James Gandolfini, in one of his final roles. From Tell No One (2006) director Guillaume Canet, this 2013 crime drama is a remake of Jacques Maillot’s 2008 French thriller Les liens du sang, which itself was an adaptation of Bruno and Michel Papet’s novel ‘Deux frères: flic & truand’. In another supporting – but crucial – role, Schoenaerts plays a criminal who gets caught up in the machinations of two warring brothers on opposing sides of the law (played by Clive Owen and Billy Crudup) in 1970s Brooklyn. The critically acclaimed Rust and Bone sees two towering performances from both Schoenaerts and his co-star Marion Cotillard. The romantic drama directed by Jacques Audiard follows Ali (Schoenaerts), an unemployed father in his mid-20s who’s looking for work to support his son. 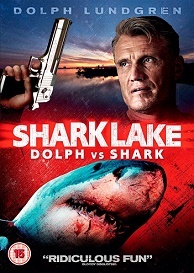 When he gets a job as a bouncer in a nightclub, he meets Stephanie (Cotillard) a killer whale trainer who later suffers an accident, causing her legs to be amputated. As Ali and Stephanie grow closer, they begin to question their relationship in a heartfelt story about an exhilarating love. Schoenarts planted himself firmly on the acting scene with this gritty crime drama – his first film with Michaël R. Roskam, which was nominated for the Best Foreign Language Film at the 2012 Academy Awards. Set in Sint-Truiden, Schoenaerts plays Jacky, a monosyllabic cattle farmer who, after being approached to make a shady deal with an infamous west-Flemish beef trader, unleashes his inner fury when a chain of events threaten to expose his past. 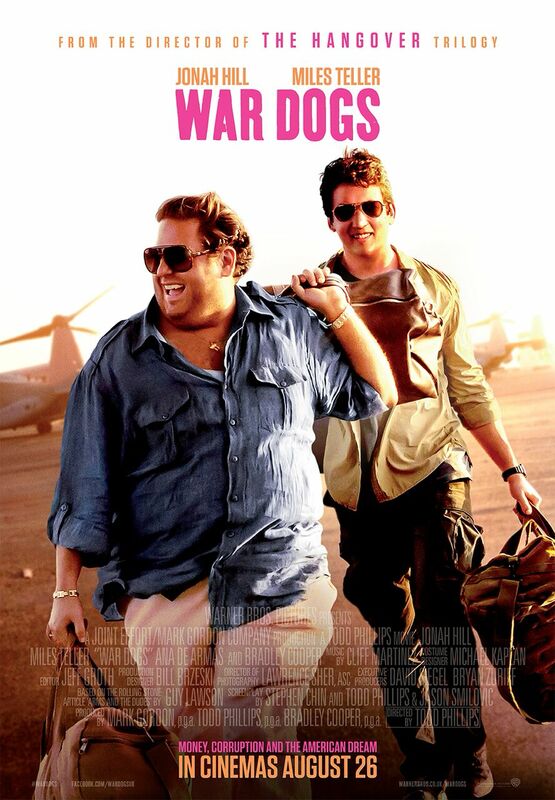 The film is based on the assassination of a high-profile government livestock inspector in 1990s Belgium. 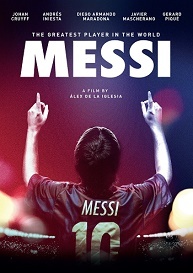 Messi is out on DVD on the 25th July, and to celebrate we have a great competition for you and 2 copies on DVD to give away! 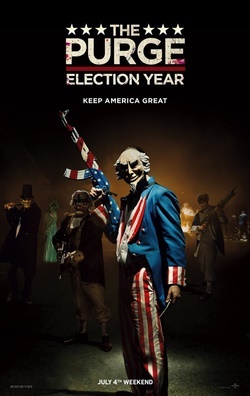 Movie comes to cinemas nationwide on 19th August! 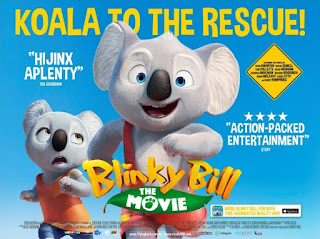 The cast of Blinky Bill: The Movie is led by Ryan Kwanten (True Blood) as the voice of Blinky Bill, Rufus Sewell (A Knights Tale, The Holiday) as the treacherous feral cat Sir Claude and Robin McLeavy (Hell On Wheels) as Blinky’s best friend Nutsy. 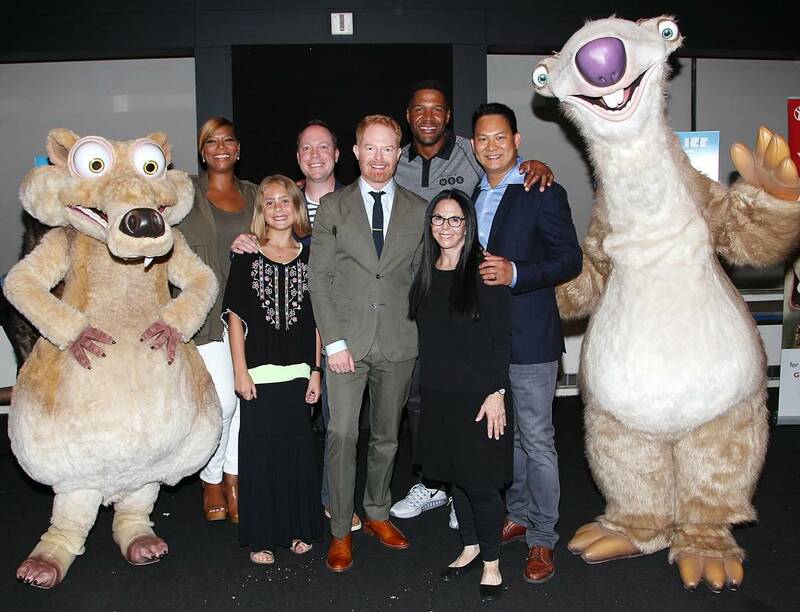 Starring alongside them is Toni Collette (Little Miss Sunshine, About a Boy) as two charming yet gossipy emus called Sheryl and Beryl, Deborah Mailman (The Sapphires) as Blinky’s kind and courageous Mum and Barry Humphries (Dame Edna Everage) as the wildly eccentric Wombo the wombat. Rounding off this esteemed ensemble are David Wenham (The Lord of the Rings: Return of the King) as the manic but loveable frill-necked lizard Jacko, Barry Otto (The Great Gatsby) as the tyrannical Mayor Cranklepot and Richard Roxburgh (Moulin Rouge) as Blinky’s adventure-loving father. Blinky Bill is a koala with a big imagination. An adventurer at heart, he dreams of leaving the little town of Greenpatch and following in his explorer father’s footsteps. Mr Bill went missing in the Outback some time ago and Blinky is the only one who believes his father is still alive. journey that takes him into the dangerous Outback. He quickly makes friends with Nutsy, a zoo koala, and Jacko, a nervous frill-necked lizard. Pursued relentlessly by a vengeful Cat who has a personal score to settle with Blinky, the trio must learn to work together if they ever want to survive the rugged Australian landscape and find Blinky’s father! screenplay by Fin Edquist (Maya the Bee), the film was produced by StudioCanal and Screen Australia in association with Flying Bark Productions and will be distributed in the UK by Enchanted Animation. LONDON – Wednesday 13 July, 2016: The 60th BFI London Film Festival in partnership with American Express® is delighted to announce that QUEEN OF KATWE will receive its European Premiere on Sunday 9 October at the Odeon Leicester Square, screening in the Festival's prestigious headline gala section. The film stars Golden Globe® nominee David Oyelowo, Oscar® winner and Tony Award® nominee Lupita Nyong'o and newcomer Madina Nalwanga, who will attend with director Mira Nair. QUEEN OF KATWE is the vibrant true story of a young girl, Phiona Mutesi (Nalwanga) selling corn on the streets of rural Uganda whose world rapidly changes when she is introduced to the game of chess by Robert Katende (Oyelowo) a soccer player turned missionary. As a result of the support she receives from her mother Harriet (Nyong'o), family and community, Phiona is instilled with the confidence and determination she needs to pursue her dream of becoming an international chess champion. Director Mira Nair, says: "It makes me very proud that the European premiere of QUEEN OF KATWE, a film so close to my heart, and set in my hometown of Kampala, will take place at the BFI London Film Festival. I have so many fond memories of London. We are proud to be back." David Oyelowo, comments: "QUEEN OF KATWE beautifully illustrates a thing I know to be true but rarely see in films. Africa is teeming with amazing people who in spite of their, at times, difficult lives, manage to remain full of joy and hope. This is a story where the impossible is made possible through family, mentorship, encouragement, hard work, and faith, all things we can aspire to. It is a story that speaks to anyone and everyone, and I am so proud to have it screen in my hometown as part of the BFI London Film Festival." 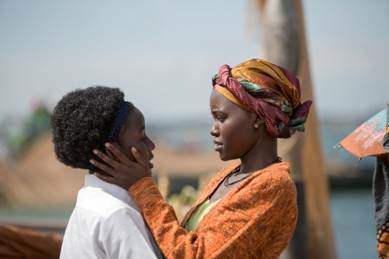 Clare Stewart, BFI London Film Festival Director,says: "QUEEN OF KATWE is an inspirational story, directed with vision and heart by Mira Nair and featuring performances of great depth and integrity from David Oyelowo, Lupita Nyong'o and newcomer Madina Nalwanga. We are proud to be announcing its European premiere to coincide with the launch of the BFI's Black Star season." Directed by Mira Nair from a screenplay by William Wheeler, QUEEN OF KATWE is produced by Lydia Dean Pilcher, p.g.a. and John Carls, p.g.a. with Will Weiske and Troy Buder serving as executive producers. QUEEN OF KATWE is the seventh film directed by Mira Nair to be presented at the Festival, following Salaam Bombay! (1988), Mississippi Masala (1991), Monsoon Wedding (2001), Vanity Fair (2004), Namesake (2006) and The Reluctant Fundamentalist (2012). David Oyelowo also stars in A UNITED KINGDOM previously announced as the Festival's opening night film. The BFI's UK-wide Black Star blockbuster season celebrating the range, versatility and power of black actors on film and TV, which runs from 17 October to the end of the year, will be unveiled tonight, Wednesday 13 July 2016, at 19:30. 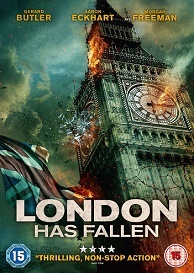 With the upcoming release of Olympus has Fallen sequel, London Has Fallen on digital platforms from 11th July, 2016 and onto Blu-ray & DVD from 18th July, 2016, the ultimate buddy duo President Benjamin Asher (Aaron Eckhart) and his top security detail Mike Banning (Gerard Butler) are back to save the world from imminent danger once again. This time, however, the American duo is on foreign ground, in London. This is new territory for the pair but Asher and Banning remain astonishingly in sync. What binds President Asher and his chief security detail Mike Banning is their mutual allegiance to duty. Though the friendship began on complicated terms, Asher and Banning eventually came together because of their common understanding that when the world is in danger, it’s no longer important to play by the rules. Don’t look for sentiment here; Asher and Banner are macho to the core. The duo is about action, not words, and little of those need be exchanged in order for them to communicate. Still, rare moments of softness are all we need to see the true depth of dependence, loyalty, and friendship between these two. Perhaps it’s the contrast of a partnership that is one half furry, one half human, but few bromances are more endearing than that between Hans Solo and Chewbacca. One of the toughest partnerships in space, Han and Chewy are nothing but a pair of softies in each other’s presence. We need not understand Chewbacca’s native tongue, nor see his face behind all that fur to understand the love in both his words and face when communicating with Han. Likewise, as lethal as Han may be as an opponent, he is powerless to the requests of his beloved partner. Leia may have written Han Solo off years ago, but at least Han can always count on Chewy to be his trusty sidekick. Riggs and Murtaugh: like salt and pepper, like peanut butter and jelly, like cookies and milk; though completely different, these duos are simply better together than apart. When seasoned Vietnam vet and long-time LAPD homicide detective, Murtaugh, and volatile ex-special forces and LAPD narcotics officer, Martin Riggs are forced to team up on a homicide case, neither man is at his best. Murtaugh has just turned 50 and is feeling a bit insecure about his age. Alternatively, Riggs is suicidal after the recent loss of his wife. The relationship starts off on a rough note, however, after Riggs comes through for Murtaugh in a critical moment to save his life, deep trust is solidified between the two. Murtaugh welcomes Riggs into his home, and we go on to see the dynamic duo fight badass LAPD crime in three subsequent sequels. The unlikely pairing of the arrogant and impetuous LAPD Detective James Carter (Chris Tucker) and the respected Chinese Detective Inspector Lee (Jackie Chan) on a case to track down the Chinese Consul’s kidnapped daughter is the beginning of a bromance that makes for comedy gold. Kung Fu tradition meets LA street smarts, cultures clash, and jokes fly. 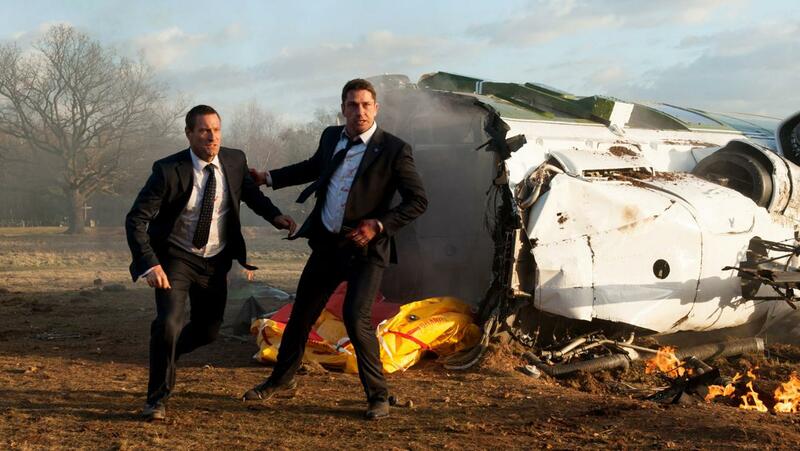 However throughout the mission, Lee and Carter learn much more from each other than they expect. Though the two detectives feign annoyance with one another, there is an endearing appreciation and respect between the two that makes the partnership unforgettable. When the high-school heartthrob, Greg Jenko and class nerd, Mortan Schmidt team up seven years later in the police force for an undercover mission as students at their alma matter, their identities get mixed up. Unsuspecting Schmidt finds himself in the cool crowd, while Jenko struggles through the advanced placement track. The team help each other navigate unfamiliar territory, and in the end, Jenko learns enough chemistry to make a home-made bomb that saves the day, while Schmidt enjoys a small slice of popularity to give him the confidence he’s always lacked. In a hilarious comedy of errors we see how two unlikely friends help each other to become the best policeman they can be, and an unstoppable force. London Has Fallen is out on DVD & Bluray on the 18th July, and to celebrate we have a great competition for you and 3 copies on DVD to give away! Following an outstanding performance at the box office, Gerard Butler (Machine Gun Preacher, Law Abiding Citizen), Aaron Eckhart (The Dark Knight, Thank You For Smoking), Angela Bassett (TV’s American Horror Story, This Means War) and Morgan Freeman (Now You See Me 2, Momentum) bring LONDON HAS FALLEN home this summer – an explosive, fun-filled adrenaline ride and the perfect antidote to whatever the weather throws at you! It’s difficult to hear Bruce Willis’ name without thinking: Die Hard; or picture Mark Paul Gosselaar as anything but 90’s sitcom heartthrob Zack Morris from Saved by the Bell. Similarly, Claire Forlani will always have a place in our hearts as Dr. Susan Parish from Meet Joe Black. 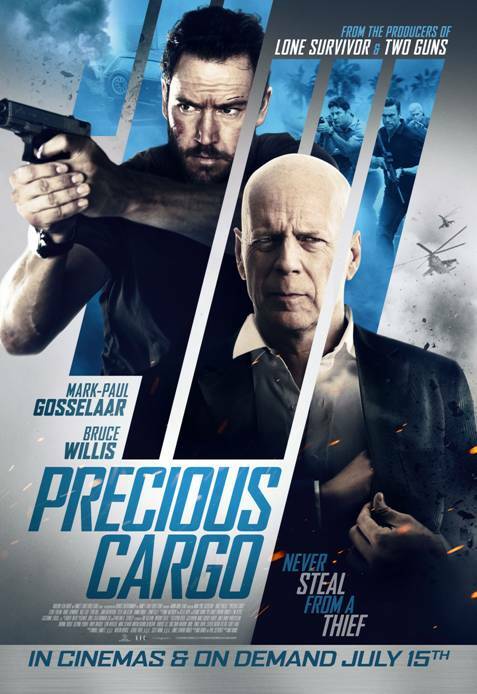 However, in the action-packed thriller Precious Cargo, these talented actors come together and in roles so compelling and different, we can almost forget those career defining roles of the past. Arriving in cinemas and on demand from July 15th, 2016, Precious Cargo opens on a murderous crime boss, Eddie (Willis) in search of Karen (Forlani), the seductive thief who failed him in a botched heist. In order to win back Eddie’s trust, Karen recruits her ex-lover and premier thief Jack (Gosselaar) to steal a cargo of rare precious gems. But when the job goes down, allegiances are betrayed and lines are crossed as Jack, Karen, and Eddie face off in a fateful showdown. In celebration of three actors so well remembered for their breakout roles, here’s a look back at those, and the other significant work in their respective careers leading up to the release of Precious Cargo. Though first introduced to the world on the small screen as a comedic actor on the television series, Moonlighting, opposite Cybill Shepherd, it was Bruce Willis’ appearance in the 1988 film Die Hard that solidified his place in Hollywood as the go-to action film star of the 90’s. What followed were two more instalments of the Die Hard series including Die Hard 2, and Die Hard with a Vengeance. These films, along with his portrayal of Butch Coolidge in Quentin Tarantino’s award winning film Pulp Fiction, and starring roles in blockbusters like Armageddon and M. Knight Shyamalan’s The Sixth Sense have continued to keep Willis on the list of most coveted starring vehicles in Hollywood over the years. Though traditionally playing the “good guy,” with equal knack for comedy, as he has for action, in Precious Cargo, Willis shows his impressive range by easily shifting into the complicated role of a deranged villain. Despite the dramatic nature of the film, the now 61 year old Hollywood vet still adds a bit of signature charm and humour to the complex character in a way that only Bruce Willis can. English born actress Claire Forlani first got her start in Hollywood in the American TV mini-series JFK: Reckless Youth as Ann Cannon, old college girlfriend to the president. From there, the young beauty scored a role in the 1995 popular Rom-Com, Mallrats. One year later, Forlani was cast in the 1996 action film, The Rock working alongside Hollywood heavyweights such as Michael Bay, Jerry Bruckheimer, Sean Connery, and Nicholas Cage. 1998 brought Forlani her breakout role in Meet Joe Black as Dr. Susan Parish, love interest to international heartthrob Brad Pitt. Following the success of Meet Joe Black, Forlani returned to the small screen for stints on both CSI: New York, and CSI: Los Angeles. 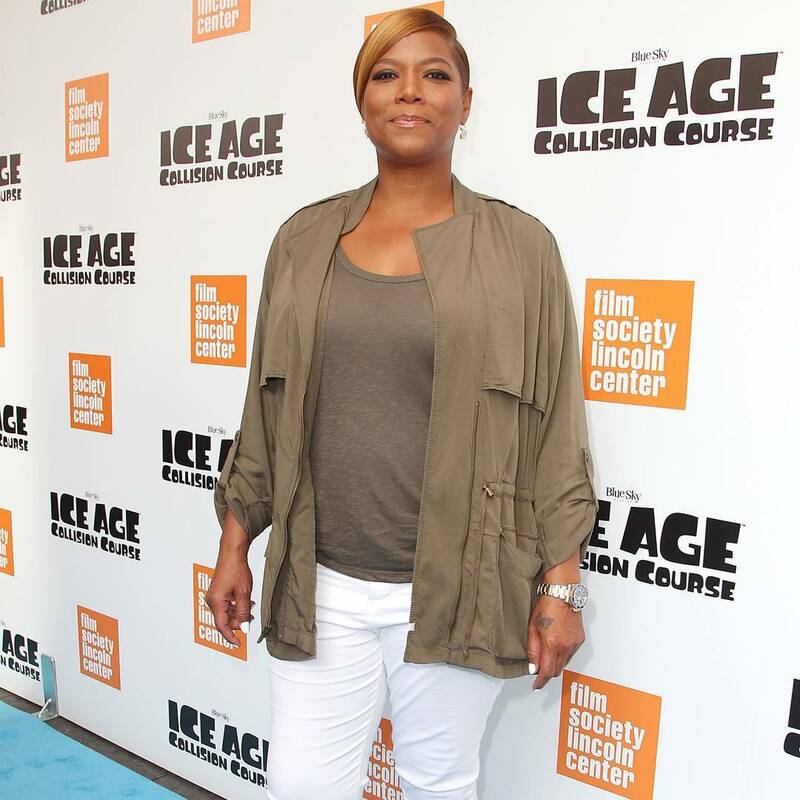 Forlani’s wide range of roles in all categories of film and television over the years demonstrates her flexibility to tackle any role. In Precious Cargo, it’s a delight to see Forlani portray a slighter darker role than she’s taken on in some time. Bleach Blonde hair, pastel t-shirts with acid-washed jeans, a mischievous yet winning grin, and a giant portable phone glued to his ear, the image of Zack Morris is permanently etched in all our brains as an iconic memory of 90s sitcom television. However, Mark Paul- Gosselaar’s career actually started long before he was cast as the star of Saved by the Bell at age 15. The young California native grew up in showbiz; beginning as a child model at 5, Gosselaar guest starred in numerous popular sitcoms including The Wonder Years, Punky Brewster, and The Twilight Zone to name but a few. Saved by the Bell ran for 4 seasons, but Gosselaar continued to reprise the role of Zack Morris well beyond the series’ end in several different spin off series throughout the 90’s. Gosselaar has since worked on several television hits throughout his career including Hyperion Bay, NYPD Blue, Franklin & Bash, and CSI. Gosselaar has also worked on a number of films over the years including 1998 drama Dead Man on Campus, and most recently, the 2015 crime thriller Heist working alongside Robert De Niro, Jeffrey Dean Morgan, and Kate Bosworth. In Precious Cargo, Gosselaar shows us he’s come a long way since his days as suave trouble maker Zack Morris. 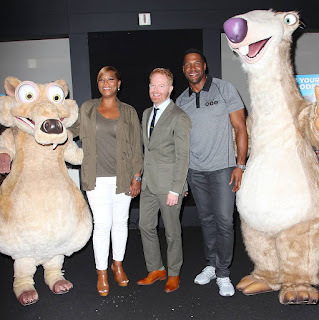 However, despite admiring his notably heftier acting chops, we can’t help but admit that winning grin of his is still his Gosselaar’s secret weapon. A selection of images from a special screening of Ice Age: Collision Course held in Lincoln Center's Film Society in New York yesterday. Directed by acclaimed director Derek Cianfrance and starring Michael Fassbender, Alicia Vikander and Rachel Weisz, The Light Between Oceans is released in cinemas 4th November. Satirising the fashion industry is not an easy task. Although eccentric designers and less than model behaviour provide plentiful comedic inspiration, parodying cultural taste makers has been a task few have taken on. The Devil Wears Prada and Absolutely Fabulous embraced the fashion world but none have tackled it quite like Zoolander and Zoolander No.2. 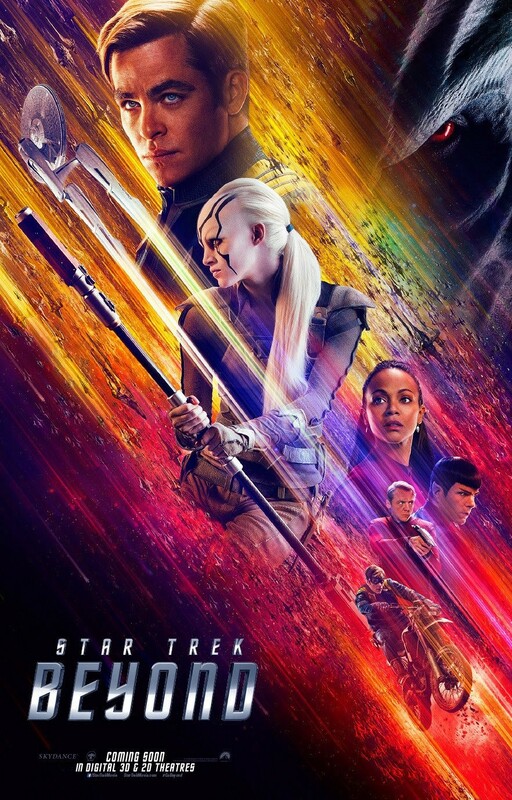 Both the original and its sequel thrived on the sensational behaviour and excessive trends of the industry. You may have thought that the world Zoolander portrays is purely a figment of Ben Stiller’s imagination, born out of ridiculousness alone, but that is not the case. So to celebrate the release of Zoolander No 2 on Blu-ray and DVD 4th July we are taking a peak behind the runway, and finding out exactly who inspired this ridiculously good looking character. The iconic Mr Zoolander himself was born from the amalgamation of pieces of real life models that wandered their way round the social scenes of 90’s New York. Fashion aficionados may already have noticed a few nods to Kate Moss, and recognised Victoria Beckham’s famous pout, but two of the male models nominated for model of the year in 1996; Johnny Zander and Mark Vanderloo, provided inspiration for the name, as well as some of the iconic poses. Former Calvin Klein model Johnny Zander worked with Versace, Dolce & Gabbana, Jean Paul Gaultier and Valentino but nowadays can be found running his own cocktail club in Los Angeles where they serve up a ‘Blue Steel’ drink as tribute to the icon. Dutchman Mark Vanderloo’s modelling career is still going strong and his life is a little less Zoolander themed. Zander and Vanderloo were at the height of their game in the 90’s modelling scene, and heralded the emergence of the male supermodel to rival the likes of Naomi Campbell, Cindy Crawford and Claudia Schiffer. Being really really ridiculously good looking never goes out of fashion, however, and Instagram is now home to those who could inspire future fictional divas. If the brain behind Derek Zoolander, comedian Drake Sather, had been exposed to the Gigi, Kendall and Karlie generation, imagine the repercussions! 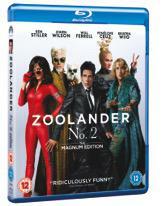 Zoolander No.2 is out now on Digital and available on DVD and Blu-ray 4th July. 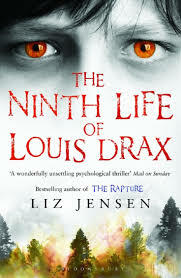 When nine-year-old Louis Drax inexplicably reawakens from the dead after his latest life-threatening accident, he becomes the patient of celebrated neurologist Dr. Allan Pascal (Dornan), who specialises in chid psychology. Determined to uncover the truth of Louis’ bizarre existence, Pascal is drawn into both the child’s life and that of his fragile mother Natalie (Gadon), whose affections begin to cloud his judgements.